Leadership — Proton Power, Inc.
Dr. Weaver is a serial entrepreneur with more than 40 years of experience founding and operating over a dozen companies in the automotive, aerospace, advanced materials and energy fields. He holds 11 U.S. Patents, and is the recipient of the Award of Merit from ASTM and multiple entrepreneurial awards from the Governors of Missouri and Tennessee. Dr. Weaver earned a B.S. in Metallurgical Engineering from the University of Missouri-Rolla (now Missouri S&T), and a M.S. and PhD in Metallurgical Engineering from the University of Tennessee. He is a native of Branson, Missouri, and currently resides in Knoxville, Tennessee, with his wife Carol. Mr. Hensley has been a business partner with Dr. Weaver for 44 years. 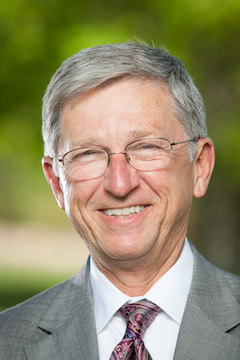 Mr. Hensley has served as President, V.P. or COO of many of Dr. Weaver's companies. His current role includes oversight of PPI's highly skilled and experienced engineering, manufacturing and design teams. A Tennessee native, he and his wife, Diane, live in Knoxville. Mr. Bierkamp has 33 years of experience at Trane/Ingersoll-Rand including executive positions in marketing, strategic planning and product management. He holds a B.A. in Physics from Augustana University, a M.S. in Mechanical Engineering from Iowa State University, and took graduate level business courses at University of Winsconsin-La Crosse. He also holds one patent. He and his wife, Shirley, split time between Knoxville, Tennessee and St John, USVI.